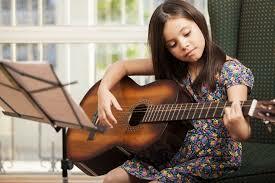 10 Tips for getting the most from your music lessons at Northern Music School. Follow these 10 steps to ensure you don’t waste your time or money at music lessons. Your teacher will provide you with a practice sheet. We suggest you use it to check off every time you practice. In our experience, students who use the practice sheet practice more than those who don’t. Make sure you attend all of your lessons and if you can’t make a lesson, notify your teacher so we can arrange a make up lesson for you. Regular attendance is one of the best predictors of success. If you have been attending regularly and practicing regularly, submit your practice sheet to your teacher at the end of term and you will be considered for the NMS scholarship. We issue one per term and the student awarded the scholarship receives free lessons the following term. Like and visit our Facebook page (Northern Music School) We post helpful information, notices and inspirational tips on the Facebook page. If you provide a photo or video and a short story about yourself, we can post it on our website. If you can get 25 of your friends to like the feature, we will credit you with one free lesson in the following term. We also recommend you enrol in music examinations. In our experience, students who complete exams generally progress better than those who do not. You can ask your teacher for more information about exams. Please go to our website: northernmusic.com.au. You will find useful information including a resources page http://northernmusic.com.au/resources/ events page http://northernmusic.com.au/events/and our blog http://northernmusic.com.au/blog/. Keep an eye out for upcoming free events. So far this year we had a free seminar about “how to learn music fast” and we conducted free guitar lessons at Greenvale shopping centre.